Wouldn't you like to see some of these amazing March 2016 Branson highlights? "March, with the colors of spring painting a beautiful mosaic over our Ozarks hills, the opening of Silver Dollar City, as well as many of Branson's most popular shows and attractions reopening after their winter hiatus, signals the beginning of Branson's 2016 season," said Annette Wood, Director of Sales and Marketing for the Branson Tourism Center. 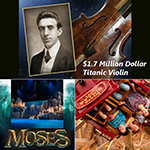 "And if what's happening in Branson during March is any indication, 2016 promises to be a wonderful year full of freshness, fun, excitement, and adventure for Branson visitors," she added... Read entire article here. Bring the family to Branson for Spring Break for as little $219! You read that right...your family can stay for two nights in a great hotel; Days Inn, Gazebo Inn, or Honeysuckle Inn, and get a Classic Snack Attack Basket chock-full of munchies. You'll also get a family pass to your choice of three incredible shows; Amazing Pets, Grand Jubilee, or Comedy Jamboree, and a Branson Guest Card Savings Book. If you add a night, you'll also receive a family pass to the Titanic Museum Attraction, where you'll discover fascinating artifacts and special displays. Branson in the spring...you can't beat it! View package here. "2016 is going to be a busy and exciting one for the Welk Resort Theatre," said Susan Smith, Senior Director of Sales and Marketing for Welk Resorts in Branson. 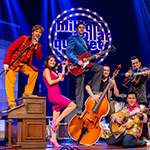 "From the Million Dollar Quartet and Charles Esten, to Daniel O'Donnell and Herman's Hermits Starring Peter Noone, & B.J. Thomas, and more, the theatre will be alive with a vibrancy, variety, and quality of entertainment that will thrill our audiences all season long," she added. An overview of the show and acts scheduled to appear at the Welk Resort Theatre during 2016 testify to that fact, and provide a glimpse of the fun and dynamic musical entertainment that awaits Branson show goers at the theatre: Read entire article here. 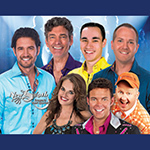 Grand Country's Grand Jubilee is one of Branson's most popular shows, combining the vocals of New South, the comedy of "Jim Dandy," the MC mastery of Mike Patrick, and the award-winning vocals of Jackie Brown into two hours of fantastic entertainment! Recently, Jackie took time from her busy schedule as an entertainer and mom to share a bit of herself, and her career, with us in an interview for "Branson - Up Close and Personal." Read entire article here. "We are just so excited to be starting our 20th anniversary season in Branson," said Legends in Concert General Manager, Jeannie Horton. "The star studded lineup is mind blowing, even by Legends in Concert standards. It is designed to meet the changing demographics of our audience as they change throughout the season, and provides them with the stars that they have most often requested," she added. Read entire article here.